I love lists. I keep lists, tabs, bookmarks and post-it notes of most everything. 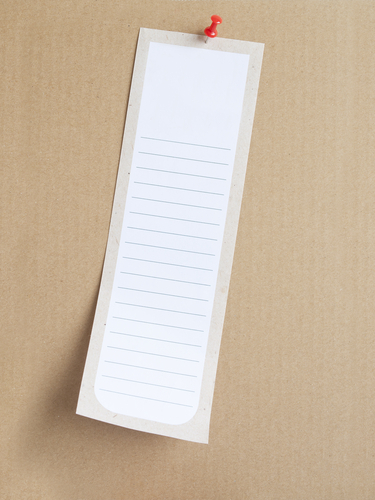 Lists help tremendously to keep me organised, and when I'm busy multitasking, well placed lists and labels can help my brain from turning into a bowl of petunias. I also love bacon. The aroma, the taste of both crispy American and hearty British bacon- I have no qualms, I'll have it all. What I don't like is spam. And 'Bacn,' (pronounced 'bacon') or subscription emails that can go unread for lengths of time, are now becoming more associated with spam than with the delicious breakfast staple to which they harken. There's clearly a bigger issue here for UK email marketing and blog subscribers, and the recent installation of Gmail's Tab feature rests in the middle of this meaty dilemma. So while everyone is concerned about the disruptive new Gmail Tab feature, I think its important to take a breath and weigh the pros and cons before passing judgement. 1) Gmail thinks email marketing is 'Bacn,' and not in a good way. Bacn is any subscription email like a regular blog, promotional material to which you signed up, and anything else for which you provided permission to receive emails. This vital and cheap way to distribute marketing material is being seen more nowadays as spam. Gmail's new Tabs place these subscriptions, ads, and other marketing material into one place called 'Promotions.' This generic grouping is causing a lot of strife among marketers, and rightly so. 'Promotions,' really? No better terms were accepted? It would make more sense to include an optional Tab specifically for subscribed content. This would be much more appreciated by people like me, and since you are reading this, you probably apply here too. 2) Calling email marketing Promotions and lumping it in with other advertising material is misleading and devalues all subscribed content. It defeats the whole ethos surrounding permission and content marketing. The word promotions itself has connotations of spam, which is why its surprising that Google has chosen this word in particular. How you sell something is just as important as how you believe people will be using it. 3) Mailchimp found that their open rates in June stayed below average for 3 consecutive weeks after an initial spike of interest. This is clearly NOT good. Although it's important to remember that these statistics are relatively new and therefore not fully reliable, they are also indicative of the worries marketers were already having. Their worst fears that people would now ignore their Promotions Tab as if it were spam may be true. Ouch! 4) Another point of contension is that advertisements go into the Promotions Tab as well, and look just like other emails. This differs from Gmail's older advertisements that went around the inbox, but not into it. This move was clearly meant to benefit Gmail alone, but it hurts others more than anything. Gmails ads will be sitting in a Promotions tab with blog subscriptions, sales promotions and retargeting emails, adding to the Bacn is bad mentality that it has helped establish. 6) You also cant move your Tabs around, just emails. As of yet, Google's algorithms don't allow customisable Tab categories. So even if you wanted your 'Promotions' to be first in the Tabs bar, Gmail doesn't allow that either. 7) Last but not least, the new Tabs feature is having a generally negative impact on user trust, which in the UK specifically is an important factor in building customer loyalty. This may not sound like much in the monopolistic face of Google, but British users are particular about where they put their loyalty. This disruption to personal and professional communication is the perfect opportunity for users to consider switching their email providers. I'm not necessarily predicting a mass exodus, but enough consumer grumbling may incite actions that hurt Google in the long run, and email campaign lists in the short run. So now let's look at what good can come of the Gmail Tabs feature. Google came out with this video in May to explain how the new Tabs separate your emails into coherent groups. Google casts the Tabs as a user-centric feature that puts control into the hands of email users, and allows them to better navigate through their email jungle. 1) This statistic was taken from a recent Hubspot blog post: Hubspot customers saw an average of 58.9% more email opens and 63% more unique email opens in June than May after the new feature was rolled out. http://blog.hubspot.com/new-gmail-inbox-layout-email-nj These are very positive numbers and perhaps indicative of people happily adopting the cleaned up and re-organised version of Gmail. But this data will not be indicative of real results until at least the 3 month mark has passed, so it's not yet a general indicator of email open and click-through rates across industries. 2) Another positive feature is that starring emails sends them to the 'Primary' tab, and a pop-up asks whether to do this for all future emails from this contact. This allows you to still have a heirarchy of relevance for your emails. 3) With a little time spent learning about the new features, your emails can become better sorted and organised. Dragging emails to and from Tabs allows you to easily prioritise and change your mind about where something belongs. 4) When Gmail has learned (because it can learn) your preferences, it will allow you to quickly and easily browse the most important and relevant content of your emails, rather than sifting through the smorgasbord that your account was before. 5) Google also included a responsive email algorithm that allows Gmail to recognise and reorder emails into the 'Primary' tab when they become regular. 6) On the one hand, having all your subscribed emails in one place means consumers can ignore you more easily. But on the other, organised tabs can bring them all to one place for all their blog and reading content. Gmail should have constructed a separate tab for subscribed blogs, but in the meantime, the fact that they are all in one place does help to order things a little better. And if you're a content marketer, you'll realise that the key to success with these new Gmail conditions is to produce really remarkable content! So to wrap up, Gmail's new tab feature may be worrying email marketers, but it's not necessarily all bad. The way to thrive in this new environment is, as always, to create stellar content with vivid headlines. It'll be interesting to see what happens.